Wooden train tracks Trixie, Tracky, and Tinker are thrilled to finally join a train set of their own. Unfortunately, their excitement derails when they discover things at their new home are not what they expected. Bossy wooden trains blare orders, and the old tracks snore on the floor. But with a little creativity, the three new tracks work together to prove that you really can teach old tracks -- and trains -- new tricks. 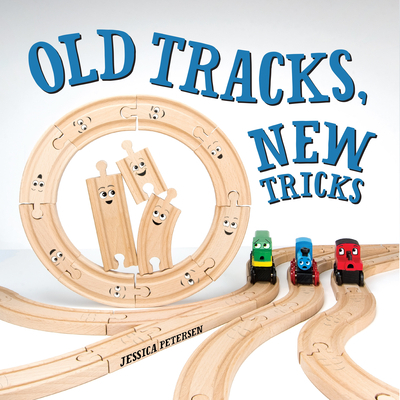 Jessica Petersen is the author, illustrator, and photographer of the picture book Old Tracks, New Tricks. She is also the creator of the popular blog, Play Trains!